Kenya’s trade officials have said they will be taking steps to expand exports and raise the country’s share of new investments during the second edition of Trade Week at the end of this month. 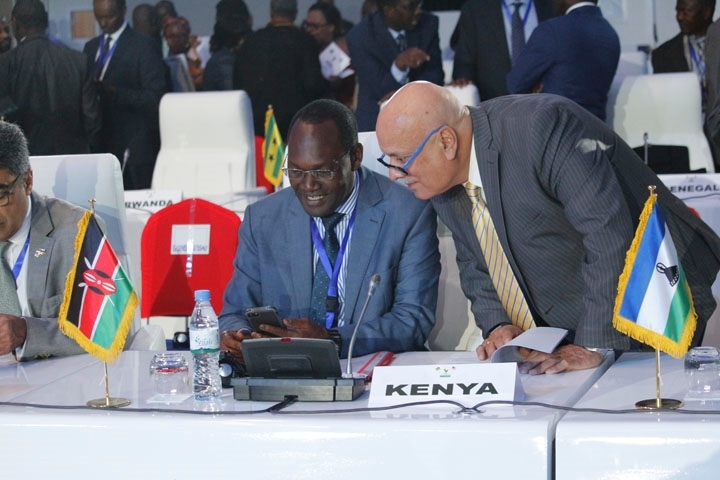 Trade Principal Secretary Chris Kiptoo said Kenya will particularly be focusing on trade windows such as African Growth and Opportunity Act (Agoa) and European Economic Partnership Agreement (EPAs) which have not been fully exploited. Agoa, for instance, grants quota and duty-free access to the US market of more than 6,000 product lines but has been dominated by export of textile and apparel, which accounts for 65 per cent of the total exports. “The Trade Week presents an export development platform to share and learn from each other, undertake test-marketing, launch products and services as well as enhance brand and corporate image for our products and enterprises,” said Dr Kiptoo. He said this year’s expo, presents a unique opportunity for Kenya to engage and understand critical initiatives and the dynamics that are likely to impact the trade sector. “We have work cut out for us to increase manufacturing to 20 per cent of the GDP which can only be achieved through collaborative efforts,” he said. The inaugural Kenya Trade Week Exposition was in July last year under the theme, ’Transforming Kenya into a Competitive Export-Led and Efficient Domestic Economy’.